Although there has been a dramatic increase in the research and clinical studies related to children and adolescents, there is a paucity of information regarding more capable adults on the autism spectrum. It is only recently that psychologists have begun to appreciate the complex challenges faced by a “lost generation” of adults with autism spectrum disorder (ASD). Even though the core symptoms of ASD (impairments in communication and social interaction and restricted/repetitive behaviors and interests) may improve overtime with intervention for many individuals, some degree of impairment typically remains throughout the lifespan. Consequently, the focus of intervention/treatment must shift from remediating core deficits in childhood to promoting adaptive behaviors that can facilitate and enhance ultimate functional independence and quality of life in adulthood. This includes new developmental challenges such as independent living, vocational engagement, post-secondary education, and family support. Decision-making is an important part of almost every aspect of life. However, several autobiographical accounts (e.g., Temple Grandin) suggest that making decisions can be stressful and anxiety-provoking for many adults with autism. Likewise, a small number of studies have suggested differences between the decision-making of adults on the spectrum and their neurotypical peers. Despite autobiographical accounts and limited studies, the extent to which, in everyday life, individuals with ASD experience difficulties with decision-making is largely unknown. A study published in the journal Autism sought to extend this important area of research by comparing the “real-life” decision-making experiences of adults with and without ASD. The researchers hypothesized that compared with a neurotypical group, participants with ASD would report: (a) more frequent experiences of problems during decision-making (e.g. feeling exhausted), (b) greater difficulty with particular features of decisions (e.g. decisions that need to be made quickly), and (c) greater reliance on rational, avoidant, and dependent styles of decision-making. In addition, it was expected that participants with ASD would report interference from their condition when making decisions. The participants were 38 adults with ASD and 40 neurotypical comparison adults (with no family history of ASD), aged 16 to 65 years. The groups were matched for age, gender and verbal IQ. All participants completed a novel questionnaire to evaluate their decision-making experiences. The questionnaire asked participants to rate: (a) the frequency with which particular problems in decision-making were experienced; (b) the extent to which they perceived difficulties in relation to particular features of decisions; and finally, (c) the extent to which participants with ASD believed that their condition enhanced or interfered with their own decision-making. Ratings of the frequency of 12 potential problems in decision-making were indicated on a four-point Likert-type scale (from ‘never’ to ‘often’). Participants also completed the General Decision Making Style Inventory (GDMS), a 25-item questionnaire probing reliance on five, non- mutually exclusive, styles of decision-making (rational, intuitive, dependent, avoidant, and spontaneous). Levels of anxiety and depression were assessed using the well- established Hospital Anxiety and Depression Scale (HADS). Compared with their neurotypical peers, the participants with ASD more frequently reported difficulties in decision making. 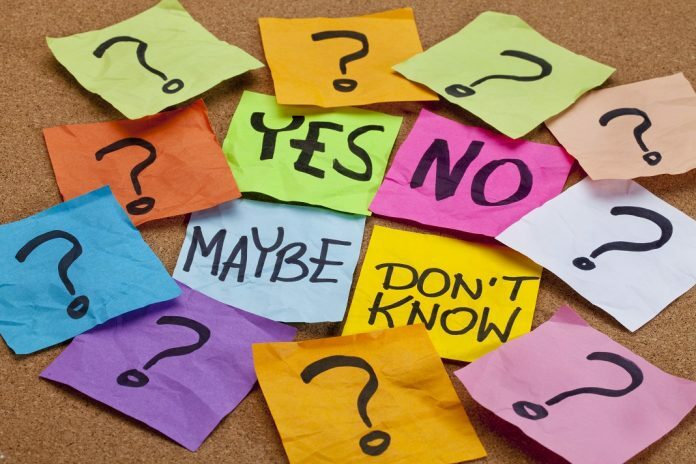 Decisions that needed to be made quickly, or involved a change of routine, or talking to others, were experienced as particularly difficult, and the process of decision-making was reported to be exhausting, overwhelming, and anxiety-provoking. The participants with ASD reported significantly higher levels of anxiety and depression and were more likely to believe that their condition interfered with rather than enhanced the decision-making process. Not surprisingly, the participants with ASD were also more likely to report that they avoided decision-making. The overall findings of the study suggest that, compared with neurotypical individuals, individuals with ASD experience greater difficulty with decision-making. Decision-making in ASD was associated with anxiety, exhaustion, problems engaging in the process, and a tendency to avoid decision-making. These findings are consistent with previous autobiographical accounts, known features of the condition, and previous studies of decision-making in ASD. In addition, the difficulties reported by the participants with ASD may be exacerbated by higher levels of anxiety and depression. The researchers found that ratings of perceived frequency of interference from ASD increased proportionally with levels of anxiety and depression. Despite limitations of the study (e.g., self-reports), the results are consistent with suggestions from the literature relating to decision-making for individuals with ASD. There are also some practical implications for improving the decision-making process for adults with ASD. For example, it may be helpful to: (a) provide additional time to reach a choice, (b) minimize irrelevant information, (c) present closed questions, (d) offer encouragement and reassurance, and (e) address general issues around anxiety. Unfortunately, expecting to make the perfect decision, postponing and second-guessing a choice, all leads to more anxiety. Strategies derived from cognitive-behavioral therapy (CBT) might be helpful in coping with indecisiveness and perfectionism by focusing on accepting life’s unpredictability and changing behavior to more effectively work toward a goal. This includes examining several sides of an issue, and creatively generating options for action, all in the effort to engage in more thoughtful, realistic, and productive decision-making. Understanding how adults with ASD experience decision-making is essential for both family members and professionals in helping the individual achieve greater self-understanding, self-advocacy and improved decision-making in lifespan activities such as employment and personal relationships. Luke, L., Clare, I. C. H., Ring, H., Redley, M., Watson, P. (2012). Decision-making difficulties experienced by adults with autism spectrum conditions. Autism, 16(6), 612–621. Wilkinson, L. A. (2015). Overcoming anxiety and depression on the autism spectrum: A self-help guide using CBT. London and Philadelphia: Jessica Kingsley Publishers. Wilkinson, L. A. (2008). Adults with Asperger syndrome: A childhood disorder grows up. The Psychologist, 21, 764-770. Wilkinson, L. A. (2007, May). Adults with Asperger syndrome: A lost generation? 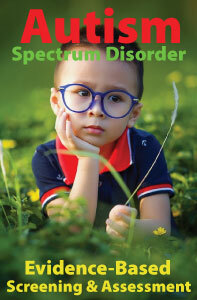 Autism Spectrum Quarterly. Lee A. Wilkinson, PhD, NCSP is a licensed and nationally certified school psychologist, registered psychologist, and certified cognitive-behavioral therapist. He is author of the award-winning books, A Best Practice Guide to Assessment and Intervention for Autism and Asperger Syndrome in Schools and Overcoming Anxiety and Depression on the Autism Spectrum: A Self-Help Guide Using CBT. 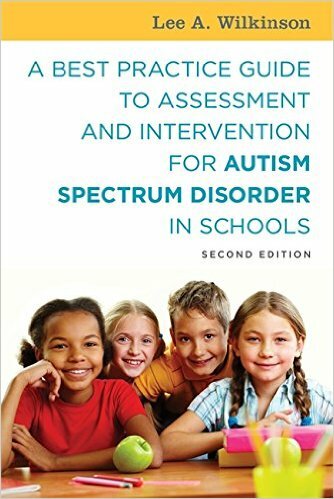 Dr. Wilkinson is also editor of a best-selling text in the APA School Psychology Book Series, Autism Spectrum Disorder in Children and Adolescents: Evidence-Based Assessment and Intervention in Schools, and author of the book, His latest book is A Best Practice Guide to Assessment and Intervention for Autism Spectrum Disorder in Schools (2nd Edition). The Individuals with Disabilities Education Improvement Act of 2004 (IDEA) (P.L. 108-446) (http://idea.ed.gov/) guarantees a free and appropriate public education (FAPE) in the least restrictive environment (LRE) for every student with a disability. The LRE provision mandates that “to the maximum extent appropriate, children with disabilities, including children in public or private institutions or other care facilities, are educated with children who are not disabled, and special classes, separate schooling, or other removal of children with disabilities from the regular educational environment occurs only when the nature or severity of the disability of a child is such that education in regular classes with the use of supplementary aids and services cannot be achieved satisfactorily.” In general, inclusion (or inclusive education) with typical peers is considered to be the best placement option for students with disabilities. 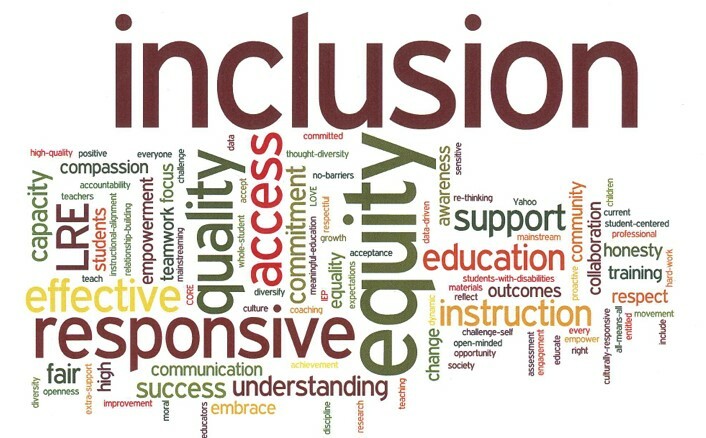 It should also be noted that while the least restrictive environment (LRE) provision of IDEA requires that efforts be made to educate students with special needs in less restrictive settings, IDEA also recognizes that some students may require a more comprehensive program and intensive level of service. Child characteristics such as severity of autism symptoms are thought to determine educational placement. However, where a child lives may significantly impact whether they are placed in an inclusive or segregated classroom, a national analysis suggests. The study published online in the journal Focus on Autism and Other Developmental Disabilities examined external factors, including state of residence and state funding formulas, to determine their potential influence on placement outcomes. On average, about 37 percent of students on the autism spectrum spent at least 80 percent of their school day in inclusive environments. But the numbers varied considerably from one state to the next, ranging from just 8 percent in Washington, D.C. to 62 percent in Iowa. There was considerable variation among states in placing students with autism spectrum disorder (ASD) in inclusive, mainstreaming, self-contained, and separate schools. Specifically, states varied substantially in the percentage of students with ASD educated in each setting, with some states consistently favoring inclusion (Colorado, Connecticut, Idaho, Iowa, Minnesota, Nebraska, North Dakota, West Virginia, and Wisconsin). Other states, however, generally leaned toward more restrictive settings (Alaska, Delaware, Florida, Hawaii, Louisiana, New Hampshire, New Jersey, New York, South Carolina, and Washington, D.C.). States in the Eastern United States tended to have more restrictive placement rates than states in the Western United States. State special education funding was found to have a minimal impact on placement outcomes. Overall, it is unlikely that child characteristics alone determine placement outcomes. Although School districts should make every effort to place students in integrated settings to maximize interaction with typical peers, analysis of the public data presented in this study suggests that many states are still falling short of including students with ASD in general education settings for significant portions of the day. Inclusion with typically developing students is important for a child with ASD as peers provide the best models for language and social skills. However, inclusive education alone is insufficient, evidence-based intervention and training is also necessary to address specific skill deficits. The argument must shift from should we include students with ASD in general education to understanding how to include students with ASD successfully in inclusive settings. It is critical to identify how practices that benefit students with ASD, including structure (visual, communication, and social supports), positive behavior supports, and systematic instruction, can be implemented effectively in general education settings. Jennifer A. Kurth, Educational Placement of Students With Autism: The Impact of State of Residence, Focus on Autism and Other Developmental Disabilities, first published on September 3, 2014 doi:10.1177/1088357614547891.